Cities small geographical footprint belies their significance. They cover 2 percent of the world’s landmass,1 but account for most of the world’s population, economic activity, and energy use. Here, we focus on the third aspect— energy use—as cities and renewable electricity have, respectively, become the habitat and energy of choice globally. The two are increasingly inseparable. 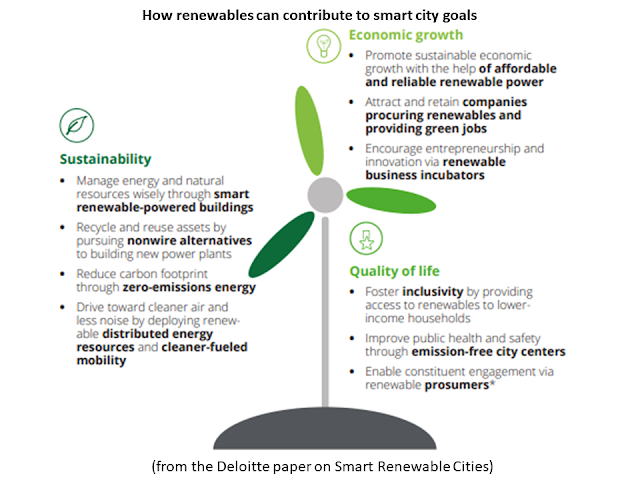 As cities vie to attract growing businesses, talent, and innovation in an increasingly global competition, solar and wind power have become key for many in achieving their smart city goals. 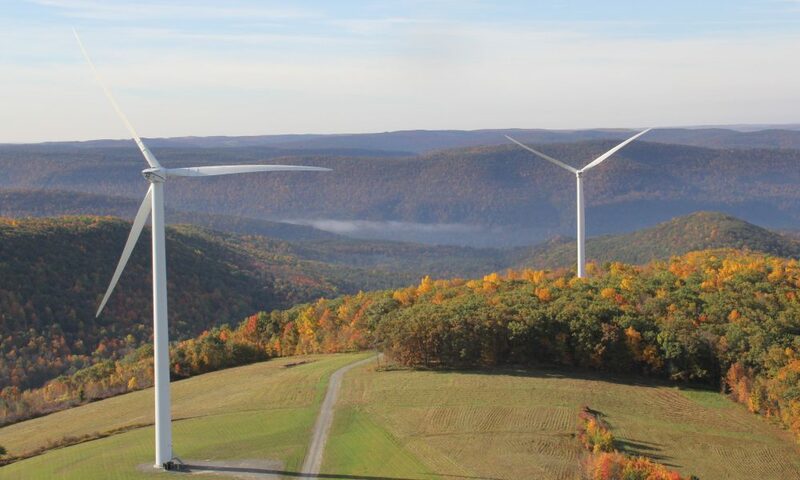 Smart cities and utilities share an interest in deploying two energy sources that align with their goals: solar and wind. Utilities are embracing wind and solar power as they reach price and performance parity with conventional energy sources across the world, help to cost-effectively balance the grid, and become more valuable assets thanks to increasingly costeffective storage and other new technologies (see Global renewable energy trends).4 These renewable energy sources now come closest to meeting the growing demand for reliable, affordable, and environmentally responsible energy sources that utilities seek to provide. As a result, renewables have become the preferred energy sources for key consumers such as cities. 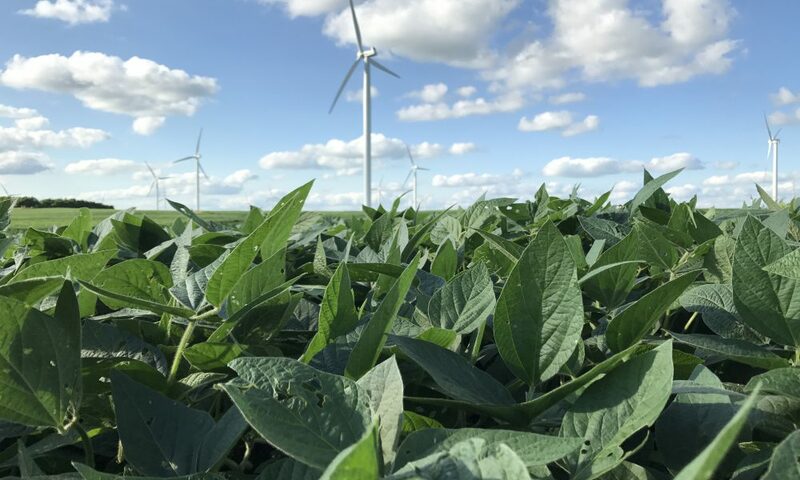 Another key consumer that is valuable to both cities and utilities is corporations, which procured record amounts of renewables in 2018.5 Unlike most energy sources, wind and especially solar power can be deployed in and by the city itself. 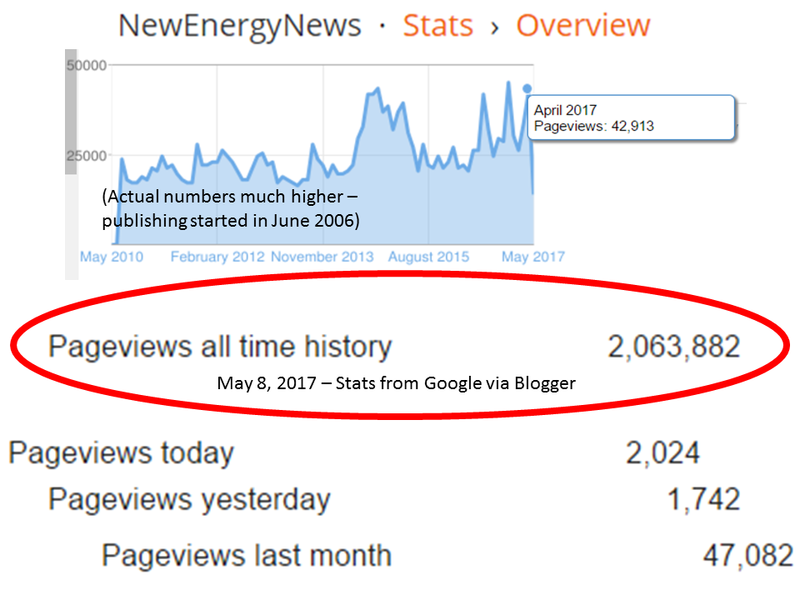 Finally, solar and wind power are citizen/ customer-centered energy sources because many residents and businesses are demanding these renewables and are increasingly empowered to deploy them on their own properties and buildings, or purchase shares of solar and wind projects or power through community energy initiatives. SRCs recognize that solar and wind resources play a key role in powering smart city plans. 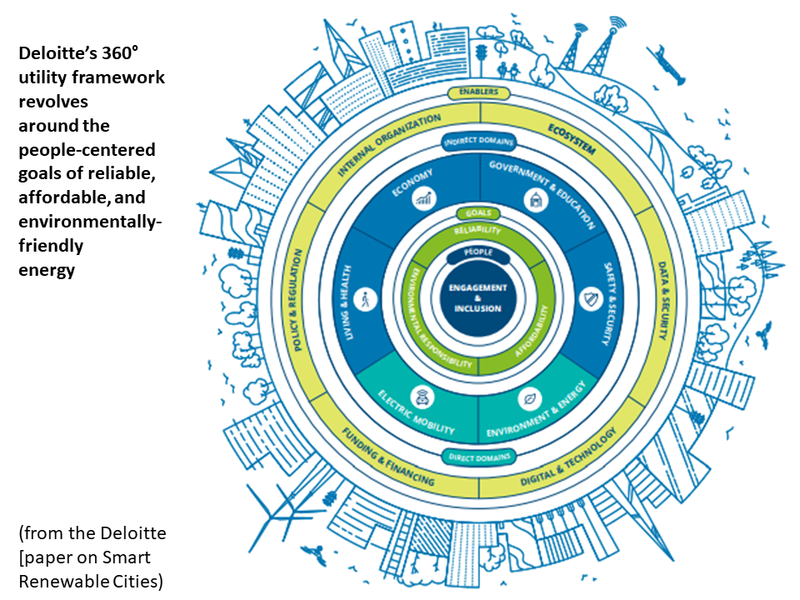 Deloitte developed the SRC framework to identify and classify cities globally that are deploying solar and/or wind power in connection with their smart city plans. SRCs are the vanguard, charting a course that all smart cities are expected to pursue as they advance toward peoplecentered goals. 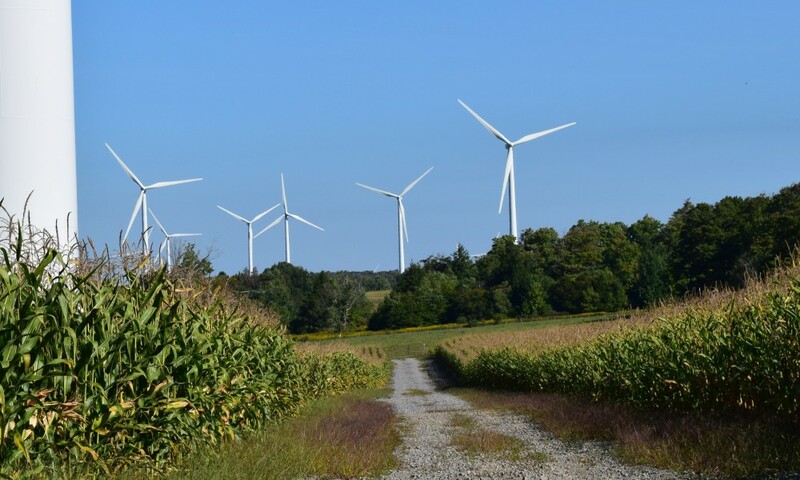 With solar and wind already a part of their energy mix, and a pipeline for more, SRCs are strategically positioned to leverage their shared interest in renewables with utilities to more quickly achieve these goals. Deloitte’s SRC model considers the Biggest, Purest, and Newest SRCs to showcase the range of initiatives that are being implemented or considered, and the range of roles that utilities can play in initiating, shaping, or participating in them in conjunction with other service and technology providers (figure 2). 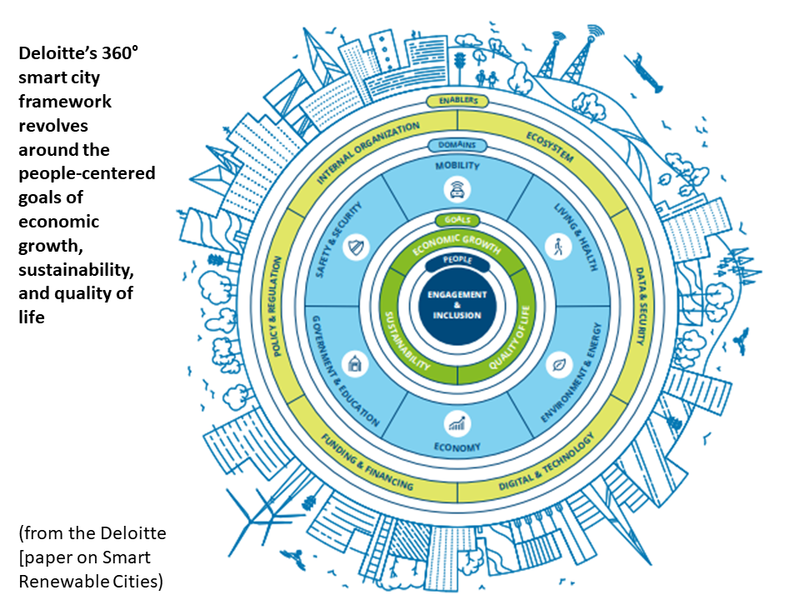 Smart city plans are typically associated with the Biggest cities, which tend to be replete with legacy infrastructure and complexity, and face some of the greatest challenges and opportunities across all areas. Meanwhile, the Purest cities show what initiatives can bring cities closest to being entirely powered by solar and wind. 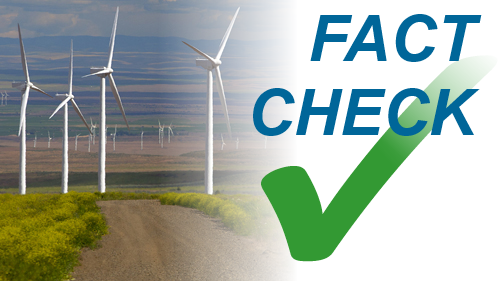 Finally, the Newest greenfield projects demonstrate what a fully intentional and unhindered deployment of SRC initiatives can potentially accomplish at various scales. 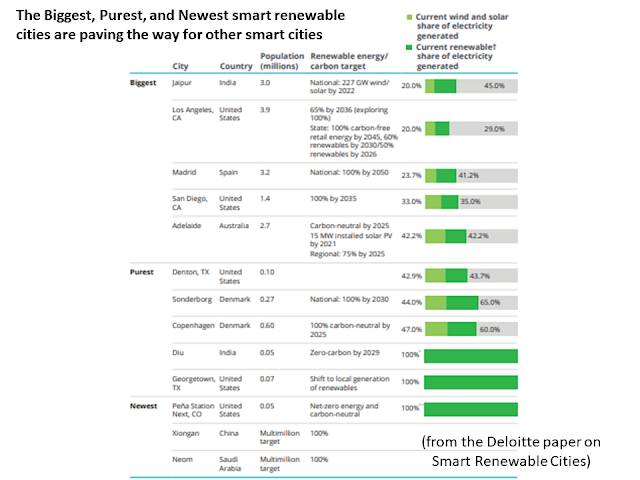 Looking at the challenges and successes of the cities in each of these categories can help other cities and utilities determine their strategies. Smart cities have a growing opportunity and imperative to become SRCs. 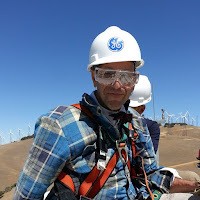 The integration of more solar and wind power into city energy mixes can directly power their goals to be more economically competitive, sustainable, and livable. In fact, these goals cannot be achieved without a significant share of renewables. 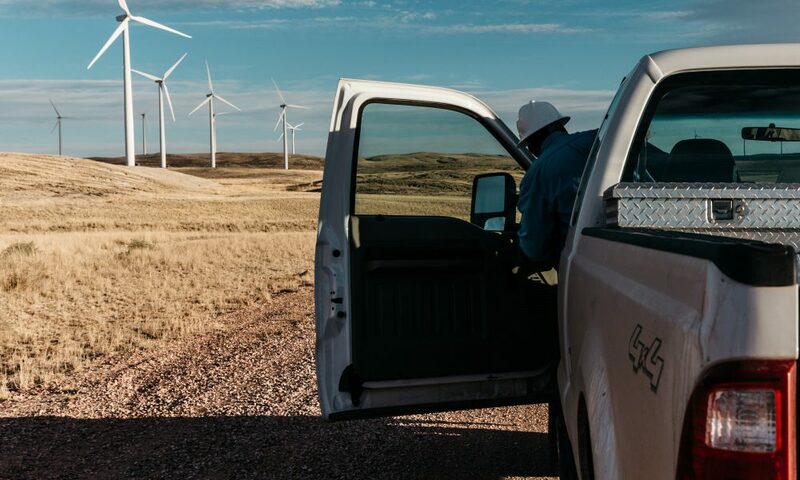 Utilities play a key role in their successful deployment as electrification powered by both utility-scale and distributed renewable energy spreads in the building and transportation sectors, unlocking new possibilities for customer engagement. The Purest SRCs have already flipped the equation, presenting smart cities as a component of their renewable energy plans, recognizing that renewable power is a starting point for smart cities. It behooves both cities and utilities to be bold in their SRC journeys, as growth is not guaranteed. 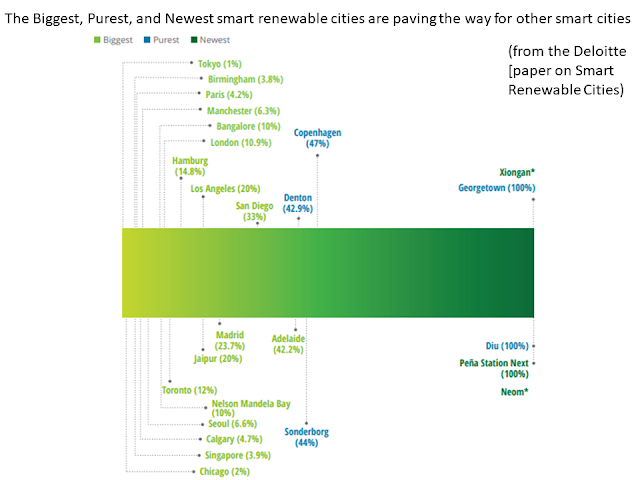 Cities are competing with one another, while utilities may risk losing business and other opportunities to nontraditional electricity providers. 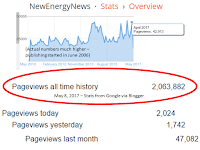 The first cities and utilities to achieve 100 percent renewables may reap the most reward as they attract a growing number of likeminded stakeholders.